Are Gummy Snacks Good for Toddlers? How Many Calories Are in Honey? Eating something especially sour can be entertaining. 1 How Many Calories Are in Peanut M&Ms? 3 Are Gummy Snacks Good for Toddlers? 4 How Many Calories Are in Honey? Sour keys are low-fat, sugar-laden, key-shaped candies with a strong sour flavor and a soft, yielding texture. They're similar to the popular peach and green apple rings, though they aren't as widely available. These keys come in different sizes that determine their calorie content. 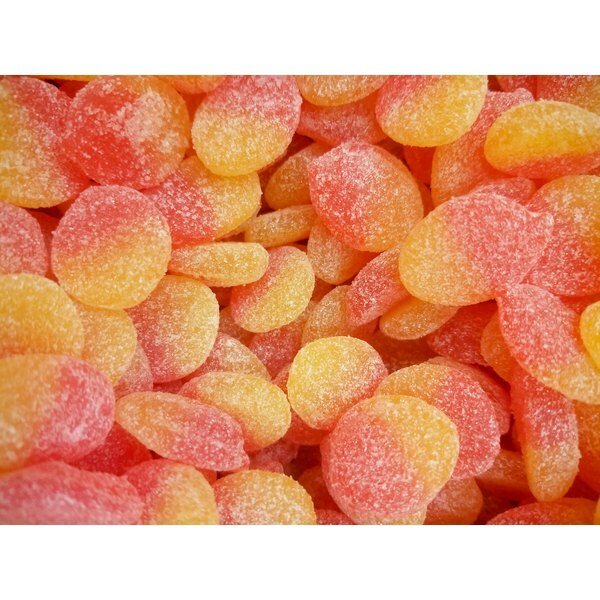 On average, some calorie trackers report that a small sour candy has just over 18 calories. With a serving size set to 11 pieces, you're looking at 130 calories of almost pure sugar. Ninety-six percent of the calories in sour keys come from carbohydrates, with 32 grams in a serving, breaking down to 23 grams of sugar. 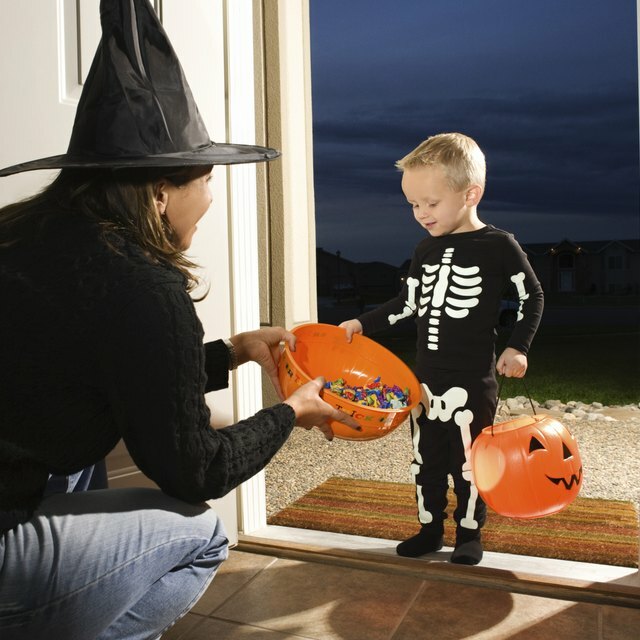 The simple sugars in sour key candies derived from glucose syrup, corn syrup, sugar or dextrose, common first ingredients in sour candies, according to Bartek Ingredients, a manufacturer of the acidic chemicals that give sour keys their flavor. The less sugar you eat, the better for your health. Not only does added dietary sugar increase the risk of diabetes, it also heightens heart disease risk factors and possible death, according to a study in the February 2014 issue of the "Journal of the American Heart Association: Internal Medicine." For this reason, the American Heart Association recommends that women eat no more than 100 calories per day from added sugar — roughly six teaspoons — and men, no more than 150 calories or nine teaspoons. Alternatively, you could eat a piece of fruit to satisfy your sweet tooth. Though not as fun for the pleasure center of your brain, your stomach will thank you and your energy levels won't crash an hour after eating. How Many Calories Does a Small Banana Have?